Most people do not realize the negative impact of the textile industry on our planet. It is considered to be the #1 freshwater polluter on earth. It is estimated by The World Bank that 17-20% of the industrial water pollution comes from textile dyeing and finishing treatments used for textile production. During textile dyeing, about 72 toxic chemicals are pumped into the water used. Over 30 of these toxics are poisonous and directly & indirectly damaging to human health. Additionally, less than 5% of our clothes are made in the United States, which does not promote U.S. clothing companies and businesses and does not add to our national economy. However, dyeScape has been created to change this. dyeScape has begun to offset the damages of the industrialized textile production and will continue to grow and transform communities in the future. This is being accomplished by transforming neglected vacant lots into flourishing landscapes, creating a sustainable textile system, and implementing a plan that will also address the issue of the exploitation of women. 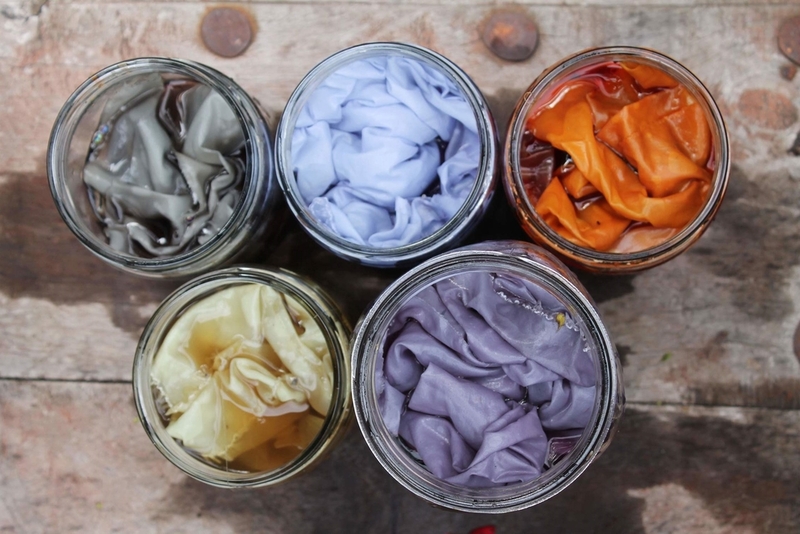 By practicing natural dyeing, we can eliminate harsh chemicals, such as ammonia, chlorine, and heavy metals, that are pumped into the industrialized dyeing process. This is accomplished by harvesting plants and flowers with natural dyeing tactics. Through localizing the textile dyeing process to vacant lots in Louisville, we will be able to boost our economy and add life and strengthen underdeveloped communities. dyeScape's plan will increase the availability of local jobs by introducing the field of natural dyeing and design.